A single coffee grinder part would determine if the coffee grinder cost structure. And of course its performance as well. 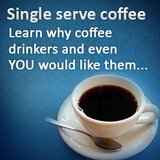 Coffee grinders are an important component in brewing coffee and are as crucial as the coffee makers themselves. Using the ideal size and consistency of coffee grounds greatly influences the taste of the coffee, and this what makes coffee grinders important. 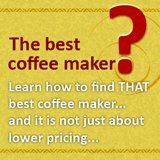 Getting a coffee grinder can be tough, especially for novices, since the prices of various coffee grinders vary greatly. Basically, there are two types of coffee grinders: the blade grinder, and the burr grinder. A coffee grinder part (blade or burr) determine the price of the grinder. The better the parts and the quality of the grinder, the more expensive it would be. Blade grinders are cheaper, and make use of metal blades to grind coffee beans. The beans are sliced and cut by the rotating metal blades, and the fineness is controlled by how long the grinder has been running. What results from this are the coffee grounds can get uneven and inconsistent. And depending on how long the grinder has been running, the blades can heat up significantly, which in turn burns the coffee grounds and ultimately has a negative effect on the taste of your coffee. Which is a reason why machine that uses this coffee grinder part is cheaper. 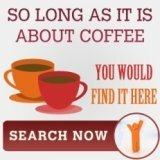 Coffee grinder reviews would deter you from using a blade grinder. Its coffee grinder parts such as the metal blades do not make it the best type of grinder to use, especially if you need to have finely ground coffee beans for espresso, manual drip coffee, and Turkish coffee. Burr grinders are more expensive, and do not cut and slice coffee beans. Rather, burr grinders grind coffee beans by crushing them between a rotating grinding wheel and a non-moving surface. Setting the position of the burr determines the size of the grind. Therefore, burr grinders give a more consistent grind without the estimation and guesswork that is required when using a blade grinder to get the right grind size. Burr grinders can be separated into two categories, depending on the coffee grinder part being used. The wheel burr grinder is the less expensive of the two. This makes use of a wheel that spins very fast, and this generates more noise. Furthermore, depending on how fast the wheel spins, it can also cause a lot of mess. On the other hand, the conical burr grinder is the more expensive type of burr grinder. It generates less noise, and there are even some conical burr grinders that are really quiet while grinding and does not make a mess, since the burr spins at a slower rate. 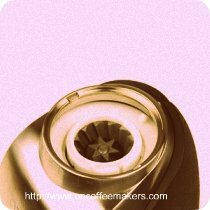 As a result, conical burr grinders are very ideal to use especially when grinding oily and flavored coffee beans. Ultimately, although a blade grinder is cheaper, but a conical burr grinder outperforms and outclasses it in every way and is a better investment in the long run. So, do note this particular coffee grinder part when shopping for a grinder. 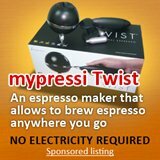 A couple of noteworthy examples of a burr grinder are the Solis Maestro Burr Coffee Grinder and the KitchenAid Pro Line Burr Coffee Grinder. Both are high quality coffee grinders, and are much more expensive than the typical blade grinder. Both perform exceptionally well, and the price paid for either of these machines will be made up with the consistency and evenness of your grind, no matter what size of grind you require, and the durability either of these machines, which allow each one to regularly grind your coffee beans for years to come.